This is a general protection talisman for a good health, success, prosperity and popularity. 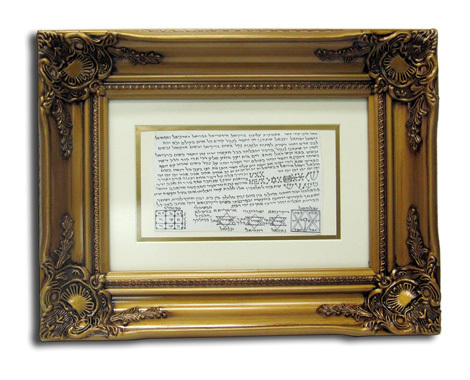 It includes: Menorah, angels names , and other Kabalistic texts and abbreviations. It’s magic powers lay primarily on the mystical “Menorah”. Kabbalah is a body of mystical Jewish teachings based on interpretations of hidden meanings in the Hebrew Scriptures. This superb Talisman is Hebrew manuscript vellum. This is a general hand made protection talisman for a good health, success, prosperity and popularity. The Menorah is one of the oldest symbols of the Jewish faith, a seven-branched candelabrum used in the Temple. 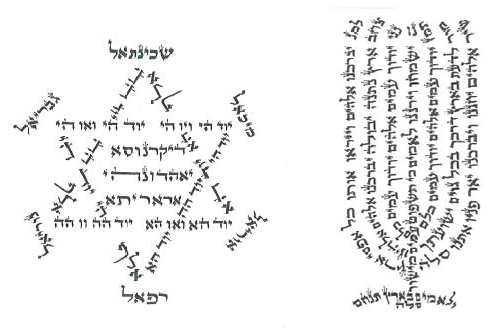 Can the 22 letters of the Hebrew Alphabet be mapped onto it? The 22 letters are are said to be grouped thus: 3 Mother letters, 7 Double letters and 12 Simple Letters. The 7 double letters may correspond to the 7 candles (the 7 circles placed horizontally in the diagram below). The 3 Mother letters may correspond with the circles along the candlestick at the points where the branches connect. The 12 simple letters may correspond with the 12 black dots which I placed along the branches. Admittedly this seems arbitary and it is for the reader to use his own discernment. I was experimenting with the Menorah symbol and placed the dots there because they *looked right*. It was only later I noticed that the total number of dots equalled 22 and that a case could also be made for a corresponding 3: 7: 12 grouping. The 22 letters can also be mapped onto the Cube of Space. The 3 Mother letters representing the 3 dimensions. The 7 double letters represent the 6 faces of the cube/directions + the center. The 12 simple letters are said to correspond with the 12 edges of the cube. I have outlined this here because it naturally indicates that the Menorah is a 2 dimensional representation of the Cube of Space. (More information about the Cube of Space is available on this site.) It also adds some weight to my placement of the letter groupings on the Menorah. 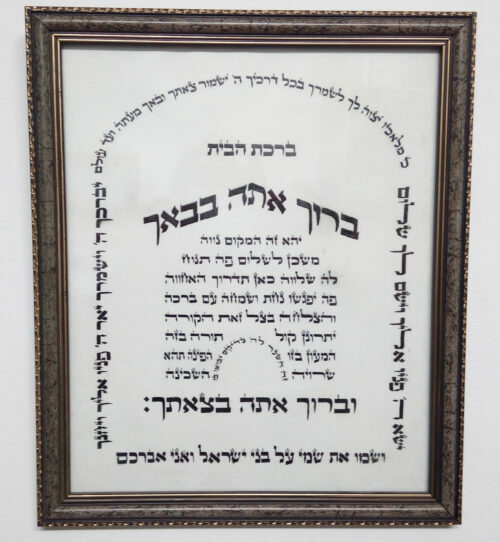 If there is something to this then the next step is to perhaps place exact letters in exact places on the Menorah, rather than just groupings. The Menorah can also be seen as a representation of the Kabbalistic Tree of Life. The 4 central circles along the candlestick been equivelant to the four sefiroth of the middle pillar etc etc. The diagram below shows a morphing of the Menorah into the Tree of Life. Note that the essential features are identical. Food for thought at least. The Menorah can also be seen as the lower half of a circlular diagram centered around the central candle circle. This would mean that the overall diagram would contain 37 points: 36 outer circles around 1 central point. Maybe other researchers have some information on this speculation or other ideas on this page. Please feel free to email me. 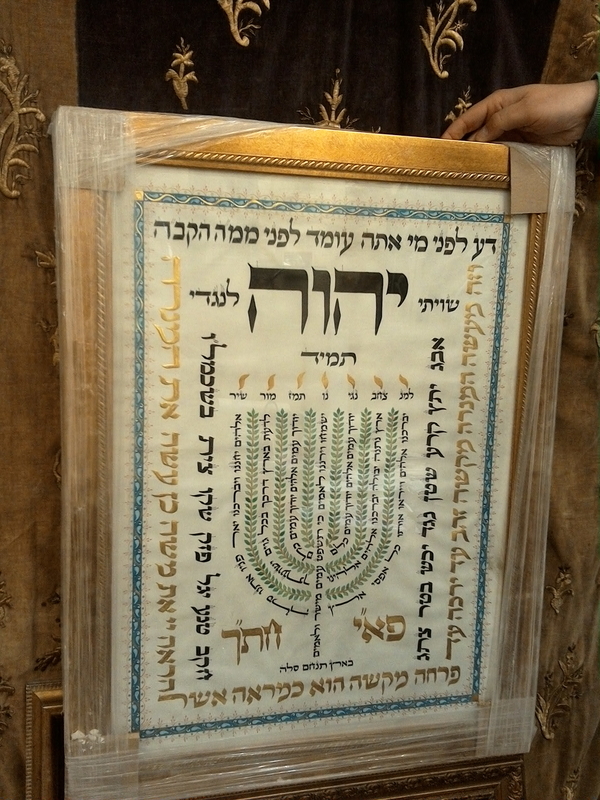 hand made by sopher stam kabbalahist on parchment.